In what may be the only opinion that Mike Huckabee and I actually share, the new Fox News commentator said Sunday that he'd recently switched to a Mac. In his segment, after dissing an airline and a computer company that he'd had bad experiences with, he lauded his new experience of moving to the Mac. He said: "Just last week I switched after 22 years from a PC to an Apple MacBook, with serious fear and trepidation, I must tell you. Now, it could have been traumatic. But thanks to an amazing group of young, bright—patient—and personable staff at the Apple Store in New York, it's actually been a breeze." Mike, dispite our differences in politics, I'm glad that you've finally joined the tribe. We hope that you'll come to love the Mac as much as we all do. Unfortunately the Huckster didn't say which New York Apple Store he went to—5th Avenue? Soho? West 14th St.? Any tipsters work at any of these stores? What did Huckabee walk out of the store with? Was it one of the snazzy aluminum unibody models? Or the still rockin' 2.1 GHz white machine? Inquiring minds want, nay, NEED, to know. Drop us a line in the comments, pronto. 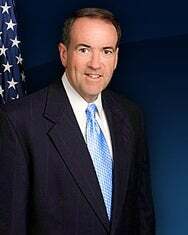 Maybe soon, Huckabee can convince soon-to-be-former Pres. Bush to get a Mac—after all, 43 did love his iPod shuffle back in 2005.